A Little Bit etc. 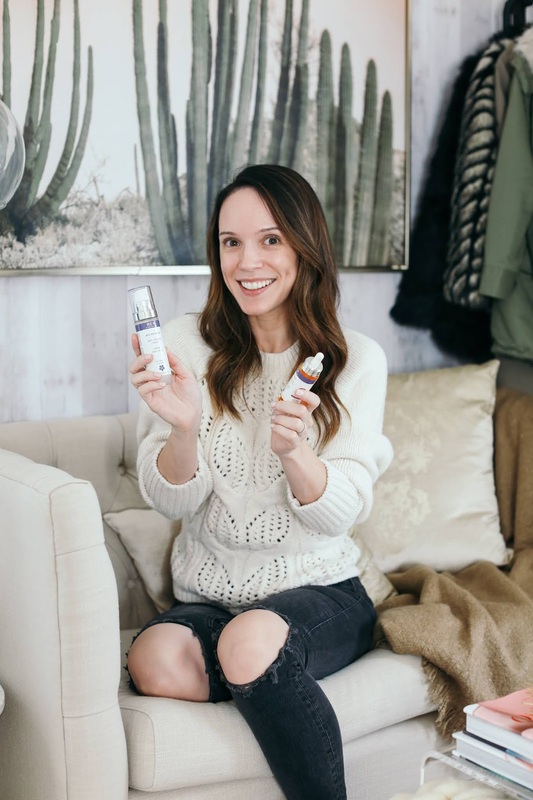 : The Two Skincare Products That I Can Never Be Without + Discount Code For My Readers!!! The Two Skincare Products That I Can Never Be Without + Discount Code For My Readers!!! 1. 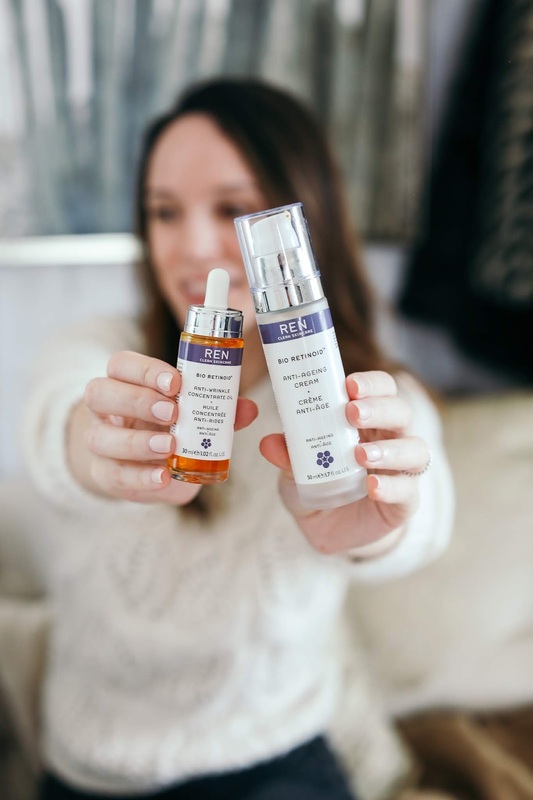 REN Bio Retinoid Cream - I first discovered this cream years ago and promptly featured it on my blog because I was immediately blown away by the results it had on my skin. It's an anti-aging cream that uses an all natural form of retinol (think retinol results without any irritation/flakiness/redness) to target fine lines, wrinkles, skin texture and much to my surprise blemishes. That was actually the first result I saw when using this cream was how minimized my breakouts became, followed by smoother skin, a more even tone and a radiant complexion. Since then, I have never been without a bottle - EVER. And I won't. I love the cream year round and use it both day and night. With the all natural alternative to retinol, I can layer it with other strong performing serums without the risk of irritation or redness. Double bonus! 2. 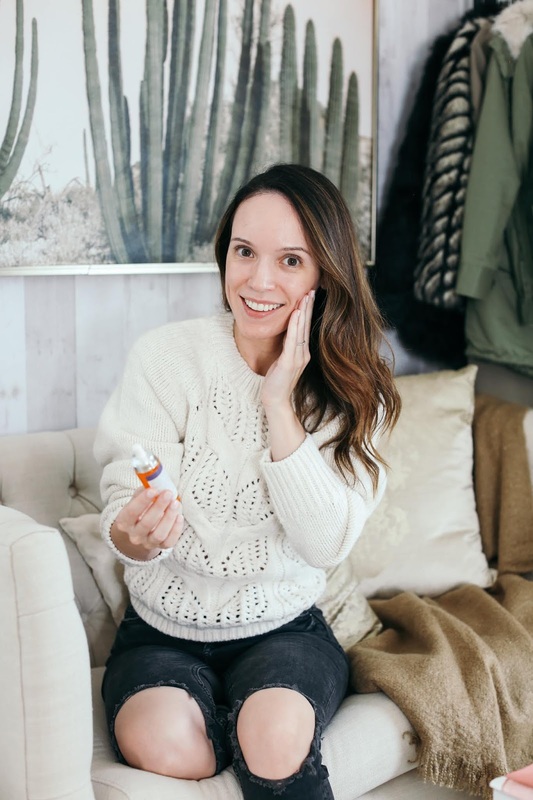 REN Bio Retinoid Oil - After falling completely in love with the cream, I figured I needed to add the oil to my regimen as well. The oil provides all the same results and benefits to my skin as the cream (minimizing breakouts, targeting fine lines, smoother skin, etc) with a bit more of a nourishing aspect because of the oil texture. And going into the winter season, that extra bit of comfort and moisture that the oil gives me is needed! I often switch off between the two or use them together (my preference is the cream first and then the oil). The oil has a medium weight texture so only a drop or two is needed to cover my entire face. This is best used in the evening. I have used both the cream and oil when my skin is dry, combination, oily, etc and it works no matter how my skin is feeling! 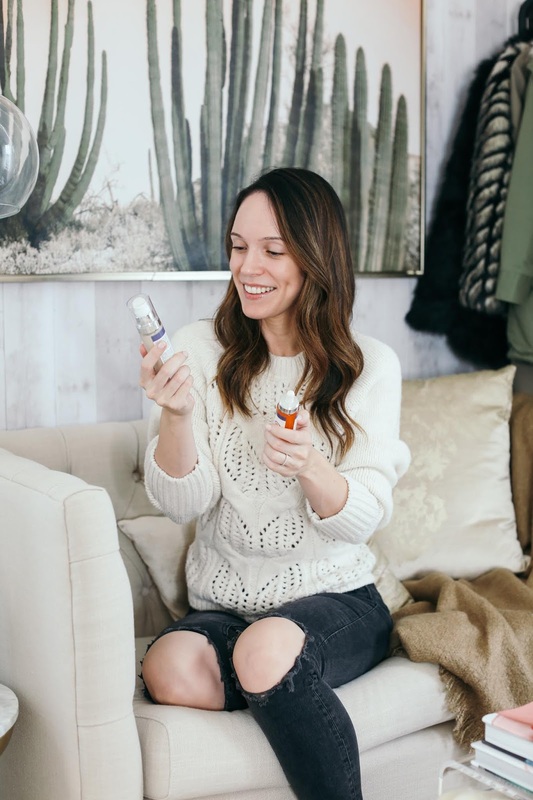 And since the range is so versatile for various skin types and age ranges, I could not be more excited about offering my readers a 30% discount code for the REN Bio Retinoid Oil!! 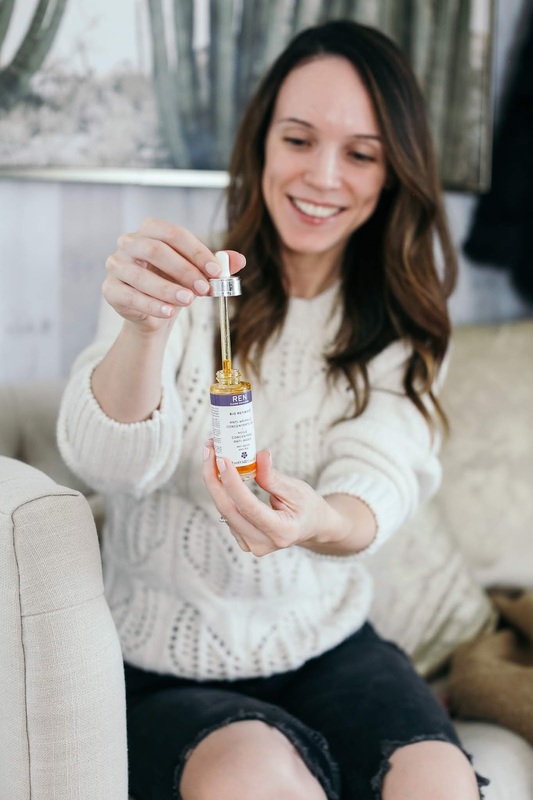 With winter fast approaching, the oil is definitely a product that you will get tons of use out of and can work right into your current skincare routine. The promotion will begin today 9/26 and last until 10/10. Thanks to REN Skincare for sponsoring this post. 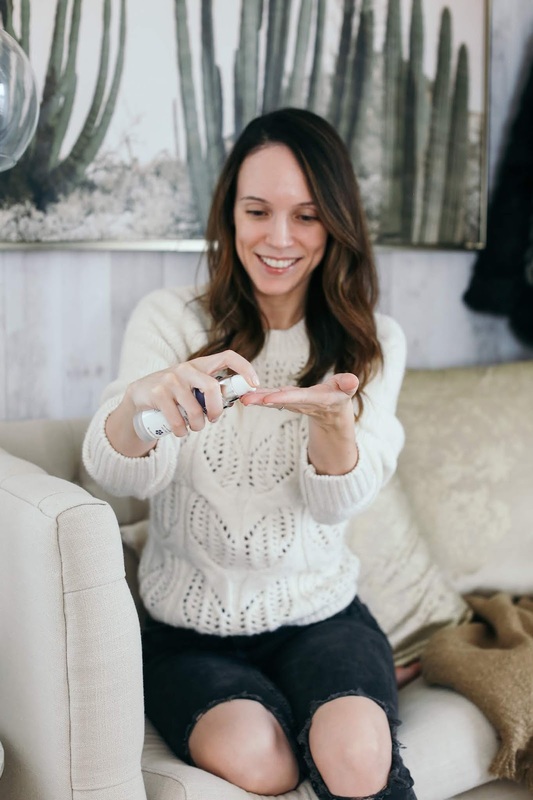 Prescription strength retinol (from the doctor) or strong retinol products with warnings about using while pregnant/breastfeeding (Sunday Riley Luna) are to be avoided. However there are tons of varying degrees of retinol which are safe. In fact, Bio-Oil (the product recommended for pregnant women) has retinyl palmitate in it.